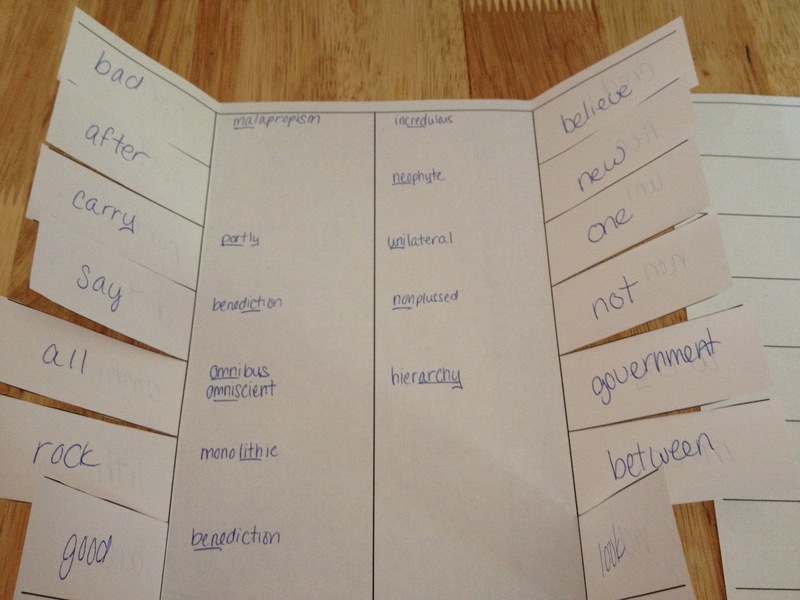 Teaching Teens in the 21st: My First Foldable! So last night I decided to make a foldable that my 7th graders could use when they study morphemes. I am going to do interactive student notebooks with them this year so that I can get the hang of it (I only have one group for two periods). This is what I came up with! The inside flap will have the definition of the stem and then the middle will have example words with the stem underlined. I'm thinking for the "output" side students can write sentences using these words, draw pictures to help them remember the definitions, or create new/nonsense words and then define them using the stems that week. 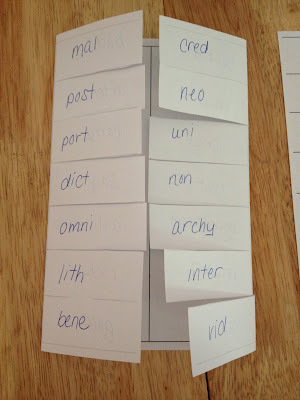 I already modified this to add more rows as our text, Word Within the Word, gives them a lot of stems each week to learn! I also made the center lines dotted so students would know not to cut. Want a copy? You can download the file here! Bringing out what is truly makes you progressively agreeable back to front. Conduct that may changes the outcomes way innovatively support the best strange circumstance. My own special most loved custom essay writing company inventive and profitable site that may make a superior and perfect routes for future purposes.